The 2015 Audi A5 lineup is just about everything we like about cars wrapped into one vehicle. It's beautiful to look at, truly museum-quality styling. It's wonderful to drive thanks to a comprehensive lineup of engines, excellent handling and a smooth ride. Inside it's as gorgeous as the outside, with impeccable fit and finish. It is a very nice car and I like to drive it everyday I use to. It rides comfortable and it is a very nice sports car nice and reliable. I drive my car to work everyday. I have no technical issues with it at all. I can travel in my car and take vacations in my car. I love to drive I love driving on a freeway I love taking people places and letting people test drive is very awesome. The interior and exterior of the car are kept clean and I get my car detailed every 6 months. She handles like a dream and gets up and goes without much effort! The performance is amazing in any Audi I've owned. They handle beautifully and go fast without feeling like you're going fast. This is my 2nd A5 and the smooth ride is so pleasing. I don't care for the black paint (this is my first and last black car) because it requires a great deal of upkeep, but I don't have any complaints otherwise. Smooth and sporty ride with good safety features. 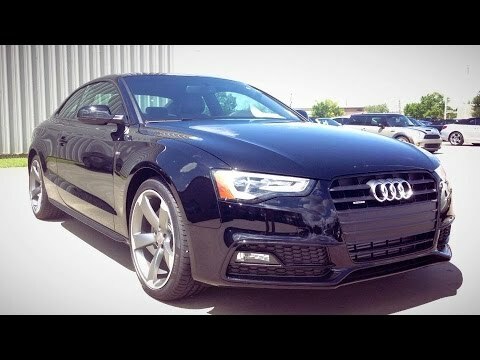 The Audi a5 has a very smooth ride yet sporty. The technical features such as the blind spot warning lights on the rear view mirrors are very helpful. The sound system is clear with good base. Temperature control and seat heaters are easy to control and function great.